A hernia is a common medical problem, but surprisingly complicated if it is caused by something you did at your job and you must file a workers’ compensation claim. 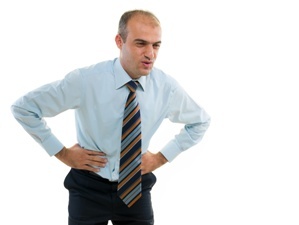 New Jersey has its own special rules for filing a claim for benefits when you suffer a hernia. Here, we discuss what you need to know so that your claim for benefits is successful. Inguinal hernia. A groin hernia is by far the most common type of hernia, and men are more likely to suffer with it than women. It can occur on either side of the pubic bone and is more obvious when a person is upright. Umbilical hernia. A hernia where the belly button protrudes is often a condition suffered by children at birth. However, if this area is weaker, an adult can experience an umbilical hernia when there is a strain on these weakened abdominal walls. Hiatal hernia. A hiatal hernia occurs when a portion of the stomach pushes into the diaphragm, and it may occur at the small opening in the diaphragm into the esophagus. Treatment for a hernia often involves surgery that can be either an open hernia repair or a laparoscopy, which is a much less invasive procedure to push the hernia back into the abdomen and reinforce the weakened area with mesh. What Are the Causes of Hernias? In New Jersey, one of the most important rules that you must understand when filing a claim for benefits for a hernia is the time limit to report your hernia to your employer. You must report your hernia to your employer within 48 hours of the occurrence of your hernia. Saturday, Sunday, and holidays are not included in the 48-hour reporting period. If you fail to do so, you would not be entitled to workers’ compensation benefits. To protect yourself, you should give the notice in writing and keep a copy of it for your records. Assuming you comply with the notice requirement, you could be entitled to workers’ compensation benefits if you can prove that your hernia was caused during the course of your employment. This is true whether your hernia was a sudden occurrence or developed over time due to duties you performed, such as heavy lifting or other exertional activities that put pressure on your abdominal wall. Did you suffer a hernia at work? The insurance company for your employer may argue that you are not entitled to workers’ compensation benefits because it was a pre-existing condition or the result of an injury not related to your job. You need an experienced workers’ compensation attorney to help you fight for the benefits you deserve. To schedule a free consultation to learn how I can assist you, start an online chat today.